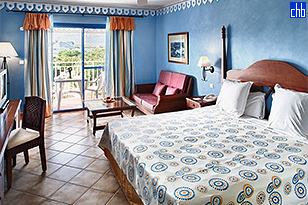 The Hotel Star Fish Cayo Santa Maria has a privileged location in one of most beautiful islands in Cuba. It is perfectly integrated into the lush flora & fauna of this cayo's biosphere reserve. The Hotel Star Fish Cayo Santa Maria is divided into 2 sections, where you will find junior suites & suites distributed into 21 detached houses, each with 3 floors. The All Inclusive concept allows you to enjoy all the services & facilities of both establishments as well as their 24-hour food & drink service. 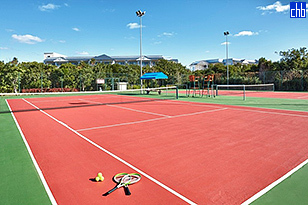 This Star Fish hotel provides a large & varied range of activities for adults & children alike. There is a sports club, 2 children's swimming pools & 2 adult pools, a business centre & theatre with a capacity for up to 1,000 people. Enjoy the included non-motorised water sports, such as catamaran sailing, windsurfing, kayaking & water biking, in the crystalline waters. A varied range of cuisine is offered from 4 a la carte restaurants, 2 buffet restaurants, 2 grill restaurants & 8 bars. The Star Fish Cayo Santa Maria hotel is also only 5 minutes a small village with a whole range of services & leisure activities including restaurants, a SPA, bowling, piano bar & even a nightclub. Until recently the Star Fish Cayo Santa Maria was known as Gaviota La Estrella Hotel & previously as Husa Cayo Santa Maria Hotel, Hotel Barcelo Cayo Santa Maria Beach & Colonial Resort. The 8 luxury Suites are larger in size and have separate living rooms. All rooms are fitted with king size bed, telephone, 2 satellite TVs, ensuite bathroom, hair dryer, Jacuzzi, dressing room, safe, 2 minibars, beer and soft drinks restocked daily, air conditioning, 220V, iron and ironing board, CD player and 2 balconies or terrace. Maximum capacity: 2 adults or 2 adults + 1 child.